Actors were larger than life on screen; even in film's early days, it seemed natural for them to assume a larger than life significance in the eyes of their fans. The actors became "stars," and publishers issued fan magazines to satisfy public curiosity about stars' likes, dislikes, hobbies, and idiosyncrasies. Fan magazines fueled a new kind of consumerism, with stars touting everything from fashion to whiskey. Publishers quickly figured out that women and young people made up the majority of film audiences, and they targeted magazine articles and ads to this demographic. The magazines were filled with information about self-improvement and personal image. From the beginning, these promotion strategies met with disapproval; critics held the film industry responsible for creating a movie-crazed culture and a generation of impressionable children absorbing questionable Hollywood mores. But businesses could hardly ignore the enormous money-making potential of fan culture. Following the appearance of the first fan magazine, Motion Picture Story in 1911, the popularity of movie publications skyrocketed. Within a decade, dozens of magazines hit the stands, including Photoplay and Motion Picture Classic. It was the beginning of an obsession with celebrity that continues today, feeding and defining the fantasies and aspirations of millions of people worldwide. 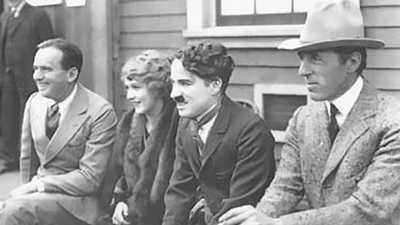 Mary Pickford and Douglas Fairbanks were two of the world's first international superstars. They rose to stardom separately on their own merits -- Pickford with her beauty, tumbling curls, and winning combination of feisty determination and girlish sweetness, and Fairbanks with his glowing optimism and athletic stunts. When they married in 1920, the couple reached dizzying new heights of fame. To fans their home, "Pickfair," was a palace --and the public joyfully heralded Fairbanks and Pickford as the King and the Queen of Hollywood. As the cinema's first celebrity, Pickford defined the required attributes: beauty, glamour, talent, power, romance. All were played up in fan magazines, intensifying the public's fascination with her. No one had traveled this uncharted territory before; singers like Jenny Lind or stage actresses like Sarah Bernhardt had achieved worldwide fame, but neither of them could be seen around the world simultaneously, as Pickford could be in her many films. Pickford didn't feel she could live up to her fans' expectations, and grew afraid of disappointing them. 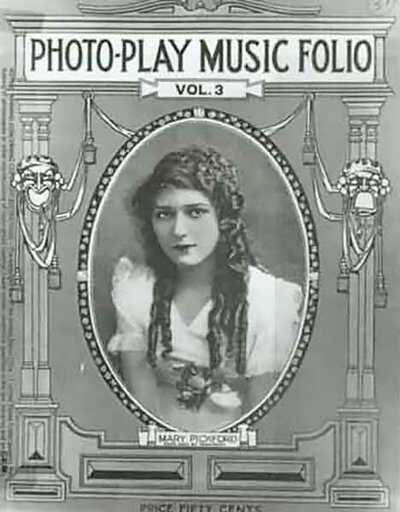 Pickford had mastered the role of a feisty, principled young woman, the "Our Mary" image that had catapulted her to global fame. But she sought acting challenges and resisted typecasting. In Stella Maris (1918), Pickford played two opposing roles; a beautiful, pure invalid, and a plain and exploited orphan. Pickford's ability to sustain the contrasting roles in one film won over audiences and critics alike. Pickford also won praise for her role in Rosita (1923), playing a street singer in Seville. In spite of these successes, Pickford's fans clung to their ideal of her as a spirited, innocent young woman. She went to her fans directly with an article in Photoplay magazine asking for ideas for her next film. She received nearly 20,000 responses -- all in favor of her playing more "little girl" roles. When her mother died, Pickford was devastated -- but somehow liberated. She could no longer maintain her little girl façade. She cut off her beloved curls while journalists sat by to report the shocking news to her public. Pickford's haircut appeared on the front page of the New York Times. Her fans reacted angrily, sending her letters filled with criticism, as if she had set out to betray them. Growing old, losing loved ones, and feeling uncomfortable with new movie-making technology, Pickford fell behind the times. Her name gradually faded from print and her presence disappeared from the screen. Mary Pickford was one of the first great stars to live the fickle nature of fame, to lose the adoration of millions of movie fans eager for something new. 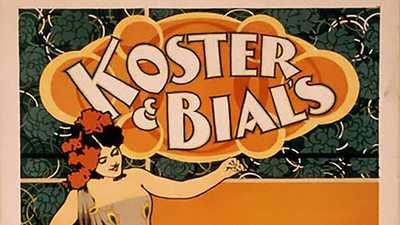 The first film screening in America took place in April 1896 at a New York City music hall, Koster and Bial's. 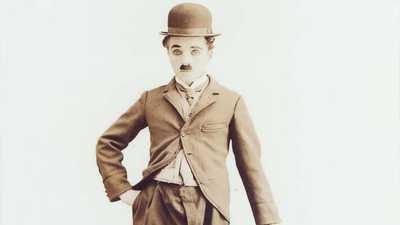 With a film career spanning over fifty years, Chaplin was an innovative artist and one of the most powerful stars in Hollywood history. Competition between the companies grew so fierce that it was draining the major players' resources and distracting them from their businesses.